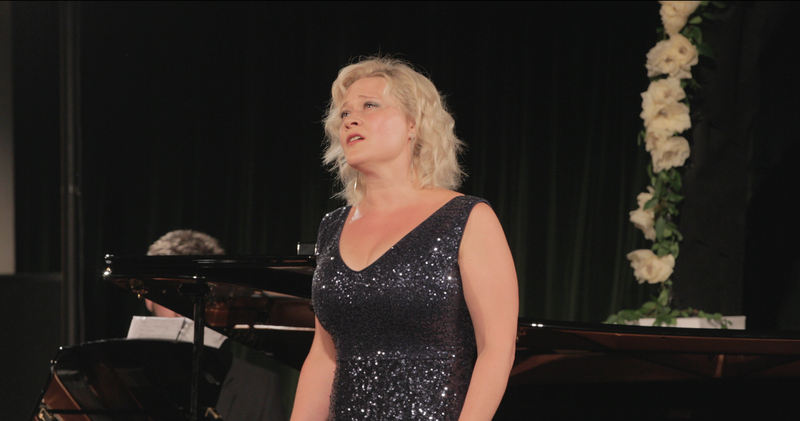 Rhinegold Live at the Conway Hall opened its 2016-17 season with a concert by the soprano Ilona Domnich accompanied by pianist Simon Over. Continuing a theme which Ilona Domnich developed with her CD Surrender: Voices of Persephone (see my review), the recital was titled Persephone: Mysteries of her heart and looked at three ages of woman, the innocent, the mature woman experiencing life, passion and suffering, and the wise woman who has lived and made her choices. So there were three sections to the concert, with each grouping using music from a different country. First three Russian songs, Tchaikovsky's Lullaby, Rachmaninov's Daisies and Alexander Alyabiev's Nightingale. Then three French songs, Faure's Le papillon et la fleur, Elle's aria from Poulenc's La voix humaine and the jewel song from Gounod's Faust. Finally three Italian song, Francisco Gasparini's Sposo son disprezzata, Verdi's Stornello and 'Al dolce guidami' from Donizetti's Anna Bolena. Then to round things off Meine Lippen sie küssen so heiss from Lehar's Giuditta. It was lovely to start with a group in Domnich's native Russian. Tchaikovsky's Lullaby made a gentle start, followed by charming Daisies from Rachmaninov. Alexander Alyabiev (1787-1845) is known as one of the father's of Russian song and his Nightingale is his most famous song. It is certainly a most exotic species of bird, with hints of the oriental in the song's lyrical cantilena. Gabriel Faure's Le papilllon e la fleur is one of his more salon-ish songs, but Ilona Domnich and Simon Over brought a nice lightness to their performance. I was surprised how well the excerpt from Poulenc's La voix humaine worked, and Domnich sang with a nicely fluid intensity that made you want to hear the rest of the work. So much so that the jewel song from Gounod's Faust seemed a little out of place at first. Still Domnich gave us some beautifully lyrical coloratura and it was lovely to hear the song in such a relaxed, intimate way. The Italian group opened with a real delight, Sposa son disprezzata by Francesco Gasparini, a composer I knew mainly because his opera Il Bajazet had helped inspire Handel's Tamerlano. Next came Verdi's Stornello, one of those songs designed for the salon where the great composer of operas seems somewhat far away. Finally the moving aria 'Al dolci guidami' from Donizetti's Anna Bolena where Anna, condemned to be executed, imagines being taken back to her childhood home. We ended on a lighter note, with Lehar's celebration of women's beauty, Meine Lippen sie küssen so heiss, given with wit and charm, and just the right smile in the voice. And Ilona Domnich even got the audience to sing along to the final verse. The audience response was enthusiastic and we were treated to an encore, a very personal interpretation of 'My ship' from Kurt Weill's Lady in the Dark. Afterwards there was a short Q&A with Ashutosh Khandekar where Ilona Domnich explained her thoughts about the programme. It certainly represents a very personal journey for the sing, but she also created a highly satisfying music programme which she and Simon Over guided us through with great style.